Tasty and easy main dish for under $10! The rich miso flavour is perfect for winter. 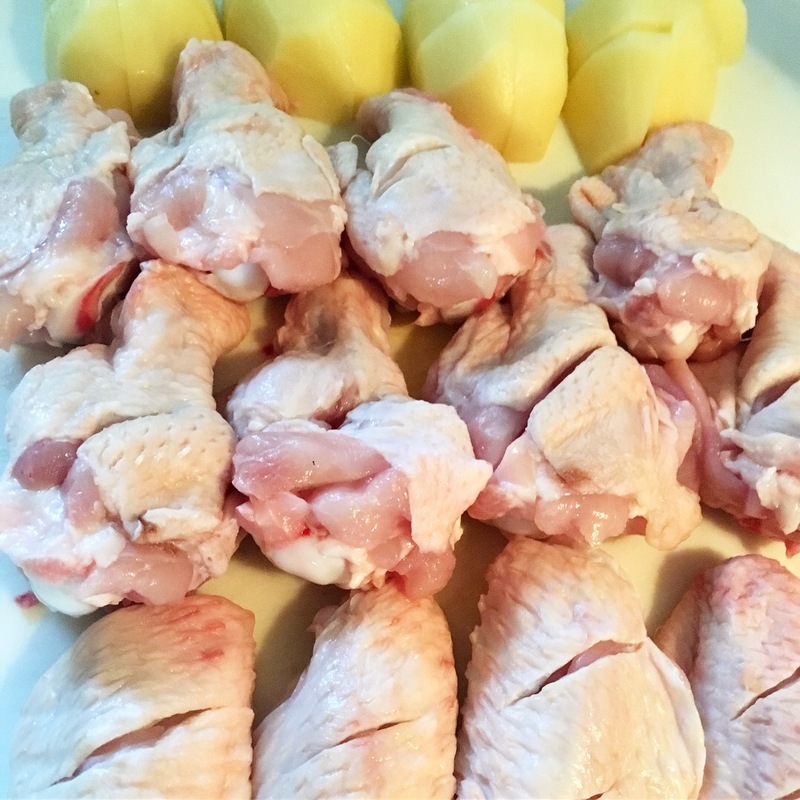 Prepare chicken by making cuts into the skin of the chicken wings. See picture below. Cut potato into bite size pieces. Add oil to frying pan and cook chicken and potato until the surface is golden brown. Add mixed seasoning (3) and place lid on the pan. When chicken and potato are cooked through, take the lid off and cook down the sauce. Sprinkle white sesame as garnish.